Tu che di gel sei cinta, a setting by Giuseppe Adami and Renato Simoni, was composed by Giocomo Puccini in 1924 (Eb minor) and premiered in 1926. This aria is part of Act III of Puccini’s opera, Turandot. Premiered in 1926, Turandot would be the last opera ever composed by Puccini, as he died in 1924, before he could complete it. Puccini had had the time to finish the two first acts and the third act up to Liù’s death before his deadly heart attack occurred. He had written the rest of the music in a sketched version, asking Riccardo Zandonai to finish the opera, should he die before. Frank Alfano was eventually chosen instead after his death, to finish the composition. It is this completed version by Frank Alfano that is always performed nowadays. The libretto, written by Giuseppe Adami and Renato Simoni is based on a play by Carlo Gozzi, Turandot. The opera is set in China, in ancient times. Act one opens on the news that a prince of Persia is to be beheaded soon. He failed in answering the three riddles which, had he succeeded, would have led him to become the husband of the cruel Princess Turandot. As the crowd moves on, a blind old man is thrown to the ground. His slave-girl helper Liu calls for help. A young man recognizes in the old man his long-lost father, Timur, previous king of Tartary. He rejoices but remains discrete as the present Chinese rulers of Tartary could feel threatened by them. Liu is the only servant to have stayed helping the old man as she is in love secretly with his son. The Prince of Persia is led before the crown on his way to his execution. He is so handsome that all ask for him to be saved. The Princess appears to order the execution. The Prince of Tartary, standing in the crowd, falls instantaneously in love with her. He intends to attempt to answer the three riddles when all advise him to return instead to his own country. He refuses and declares himself to be a suitor for the Princess Turandot. Act II opens on the laments of three imperial ministers, Ping, Pang and Pong. They prepare to welcome the Emperor Altoum, father of the Princess Turandot. The Emperor meets the Prince of Tartary and urges him to renounce and withdraw from the challenge. He refuses. Turandot enters, explaining that she has sworn to not let any man wed her. Again, the prince refuses to withdraw. The Princess presents him the three riddles and he successfully answers. Turandot is terrified and begs her father not to leave the Prince wed her. He refuses, despite her tears and despair. The prince tells her he has a riddle for her: if she can find out his name before sunrise, he will die. Act III opens on the order given to all to search and find out the Prince’s name before dawn. Soldiers capture Timur and Liù who have been seen speaking to the Prince. They refuse to admit they know his name, but when the soldiers start hurting Timur, Liù declares she is the only one to know it. They torture her but still she doesn’t reveal his name. When the Princess Turandot asks her the reason for her refusal, Liù answers: Love. The Princess asks for her to be tortured until she reveals the name. Liu explains to the Princess, she will soon understand the strength of Love and sacrifice in her aria: Tu che di gel sei cinta. 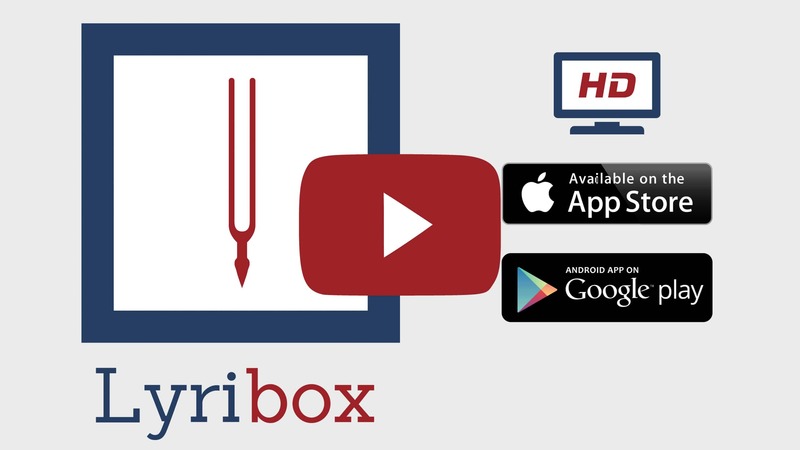 Lyribox, the popular online platform for classical sheet music, accompaniment and ipa translations brings the best by G. Puccini by offering the sheet music, accompaniments and translations to the fans gathered around the site, for the best price that could be found online. The sheet music, accompaniments and translations provided by Lyribox for are of highest quality and accuracy. Tu che di gel sei cinta originated was composed by Giacomo Puccini. The original lyrics are in Italian. The melodious note arrangement of Tu che di gel sei cinta ranges from pianissimo (very soft) mellow notes to forte (loud) notes carrying the player and the audience through an array of vivid emotions. The sweet soft beginning of the music piece gradually increases and decreases the loudness in smooth transitions. This music piece is decorated with phrases, slurs and an arpeggio. A perfect composition for piano players to try with an intermediate knowledge in music. Students can make use of this sweet music piece to improve their knowledge in music expressions, ornaments and sight-reading, while all music lovers could enjoy this brilliant extract whole-heartedly. Tu che di gel sei cinta sheet music produced by Lyribox is clear, precise and is transcribed in English by Lyribox. By purchasing Tu che di gel sei cinta sheet music from us, you can simply sing along as you play this masterpiece on your piano. Unlike many sheet music sold online with all black notations, sheet music we offer you is marked using three distinct colors. While piano notation is illustrated in black, the music expressions and the lyrics are given in red and blue respectively. Get Tu che di gel sei cinta by G. Puccini sheet music from Lyribox today to enjoy and share this wonderful music composition with your friends and family. Tu che di gel sei cinta piano accompaniment is offered by Lyribox is mellow and smooth. It feeds the poem an underlying pulse, adding a sense of propulsion to it. Meanwhile the vocal line flows in a dreamy leisure manner forcing the audience into a calming and languid mood. The vocal line of Tu che di gel sei cinta by Lyribox has the potential to provide slight pitch support for the voice’s sometimes unusual intervals, enhancing the fullness of it. This accompaniment is not at all demanding. Using these rich Tu che di gel sei cinta accompaniments you could create one of the most brilliant performances that is pregnant with layers and layers of expressions. Purchase the Tu che di gel sei cinta piano accompaniment together with the vocal line accompaniment from Lyribox today!